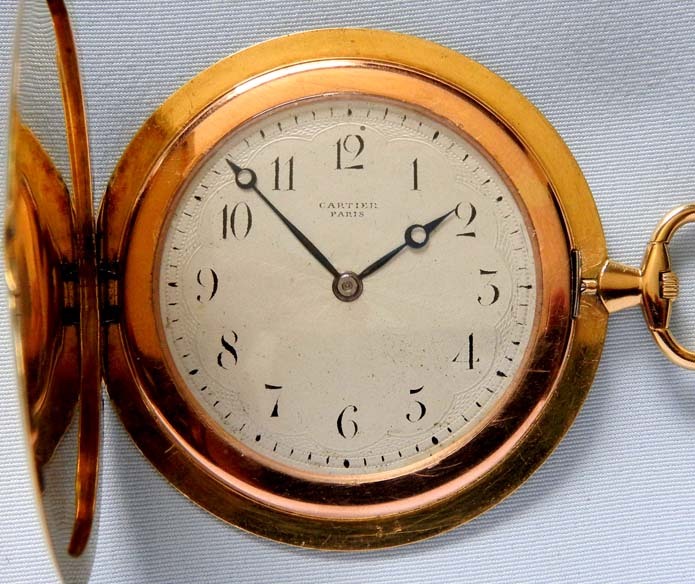 Fine and rare Cartier 18K yellow gold ultra thin knife edge antique pocket watch circa 1910. 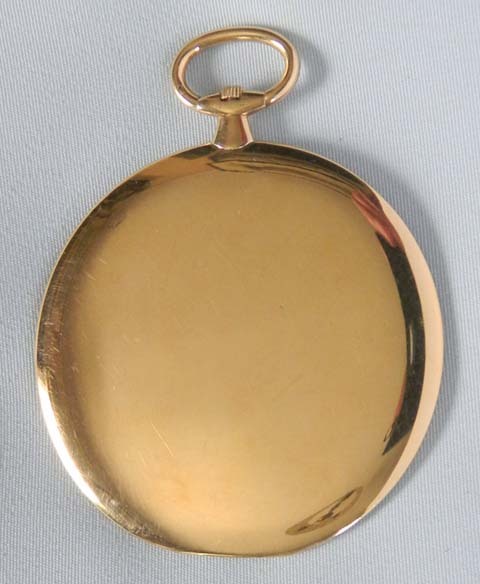 Plain polish case with pink gold bezel. 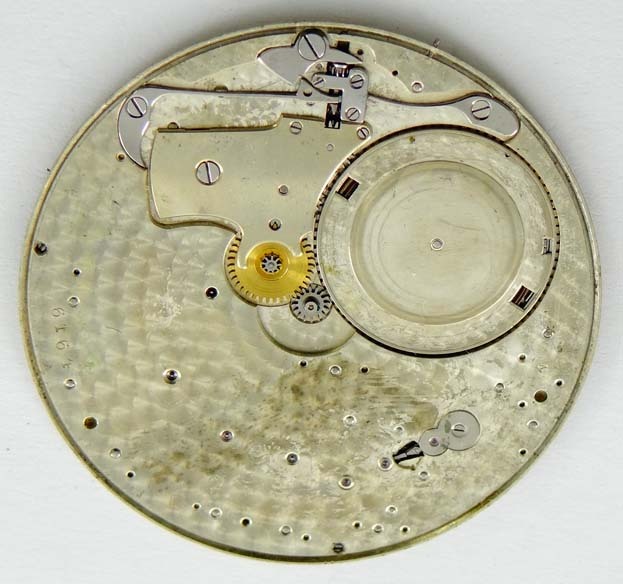 Engine turned silver dial with faded black markings and blued steel Breguet hands. 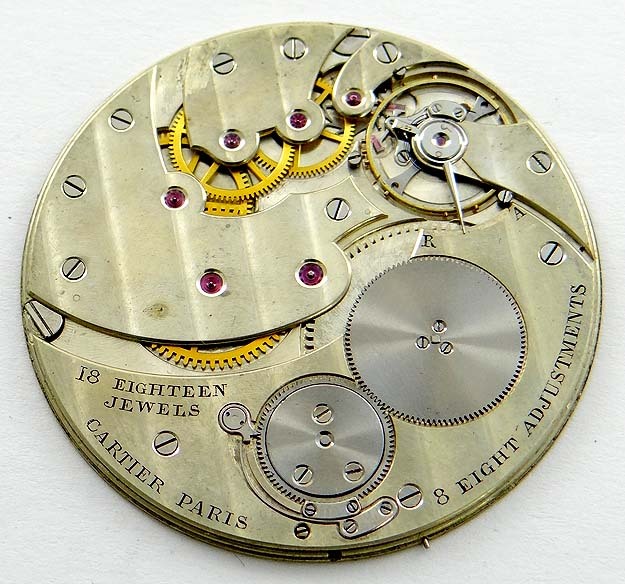 Rhodium 18 jewel 8 adjustment 1.4 mm thick movement marked Cartier Paris. 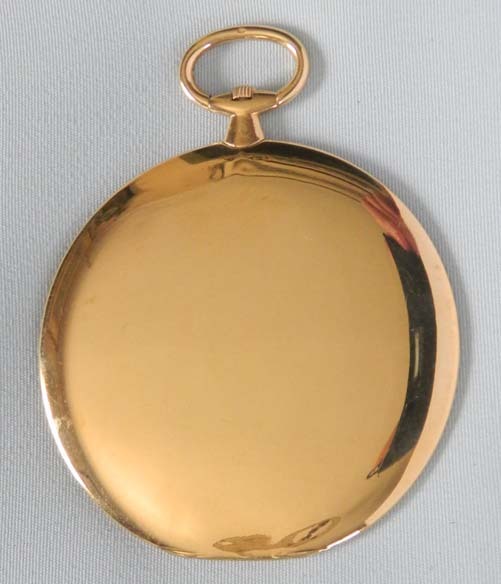 Understated elegance.